Corona Regional Medical Center's speech-language pathology service is dedicated to improving patients' quality of life through innovation and excellence in the evaluation, treatment and management of patients with disorders of speech, voice, language, cognition, memory and swallowing. 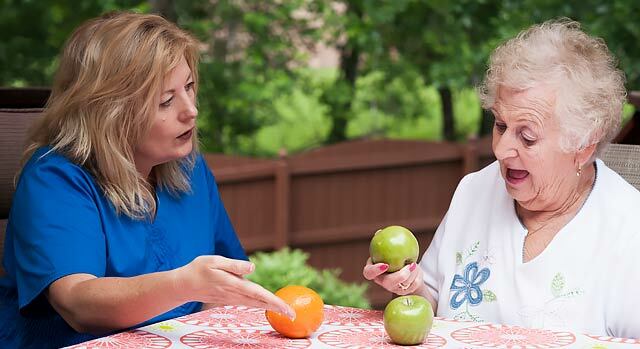 Speech-language pathology services are provided to hospitalized patients. An individualized treatment plan focusing on re-establishing functional and reliable communication is implemented for each patient. Treatment goals may also address specific communicative-cognitive deficits through a variety of facilitatory and compensatory treatment techniques. Patients with swallowing disorders are seen for a comprehensive evaluation, which may include a videofluorographic swallowing study to achieve safe swallowing. This is followed by swallowing treatment and diet modification as needed. The staff interfaces with all disciplines, including neuroscience, otolaryngology, radiology, gerontology, oncology and general medicine. Our clinical staff includes speech-language pathologists certified by the American Speech-Language Hearing Association. For more information, contact the speech-language pathology service by calling 951-736-7234.